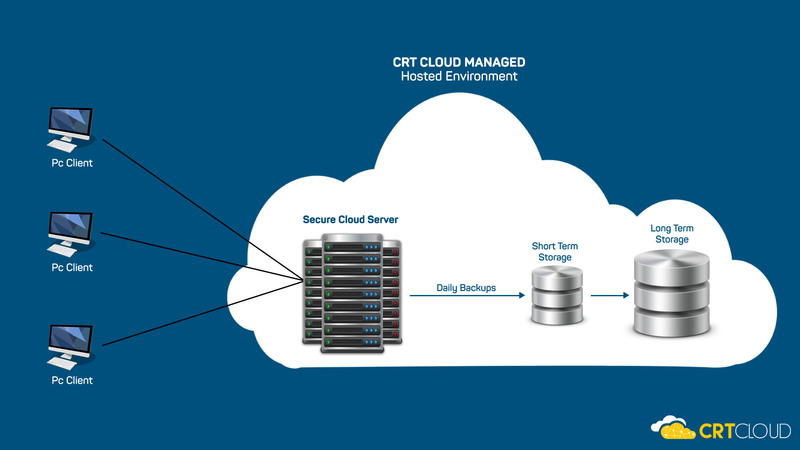 Let CRT Cloud assist you in migrating your business into cloud computing. Speak to one of our experts to discuss your cloud hosting requirements. Getting the best bang for your buck without compromising fault tolerance, should a Datacentre get compromised, we have cloud solutions to automatically account for this and keep your hosted infrastructure up and running. Maintaining security for your cloud hosted data. CRT will monitor your firewall always ensuring your systems are kept safe and secure. CRT will ensure that there are no bottlenecks on your network hindering speed and efficiency of your business programs. CRT follows strict processes to comply with accreditation standards. We can help you achieve accreditation for your business. CRT will help you develop an IT policy that adheres to business standards for your staff. Often attacks come in from staff accessing personal email on your network. We have number of checklists in place to keep your network and business data secure. CRT maintains a high level of availability to trained staff that are always ready to take your call. Our office hours are Monday to Friday 8:30am – 5-00pm, Our emergency number is 0433 835 115. We are always available for you. We provide high quality IT solutions and support for your business. We strive to create ways to enable you to conduct business in a more cost effective and efficient way. We enjoy good relationships with our clients and strive to keep them happy.